Percocet, a commonly prescribed opioid analgesic, is a combination pill containing oxycodone and acetaminophen (also known as Tylenol). It is known for its high oral bioavailability and 2-2.5-hour half-life. The inclusion of acetaminophen in the formulation makes overdosing on Percocet especially dangerous, more so than an opioid alone, due to the toxic effects of acetaminophen on the liver. Percocet is a Schedule II Controlled Substance in the US, which means it is considered to have a high abuse potential and is considered a dangerous drug. Still, Percocet is a widely available prescription medication useful for a variety of pain management situations. Because of the known dangers and abuse potential, it should only be taken as prescribed by a physician. Worried about your use of prescription painkillers, or feel that a loved one's use of Percocet may be problematic? Knowledge of overdose as a distinct possibility of opiate misuse can help mitigate disastrous outcomes. It would be much better to take preventative steps so that you don't have to face such a dire situation. Please call us at 1-888-993-3112Who Answers? to find out about opiate recovery programs today. When a Percocet overdose occurs, the patient can experience the adverse effects of both the oxycodone and the acetaminophen toxicity. Nausea and vomiting may be present and severe. If you suspect that a loved one has overdosed on Percocet, please seek emergency medical treatment immediately by calling 911. Overdosing on Percocet may be intentional or unintentional. It is easy to take too many pills due because of the development of tolerance, where the body requires more pills to achieve the same effects. Oxycodone's effects on the body include suppressing the central nervous system (CNS), as well as the respiratory system. The other active ingredient in Percocet, acetaminophen, causes hepatotoxicity because of the enzymes that are used by the liver to metabolize the drug. Large doses of acetaminophen overwhelm the liver's ability to process the drug, which ultimately causes the liver to shut down and fall into failure. 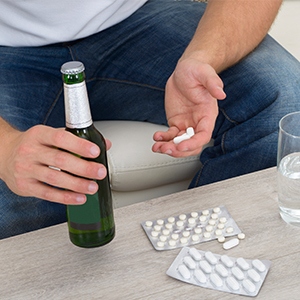 It is important to note that consuming Percocet (or similar analgesic combination) with alcohol can greatly lower the amount that will result in liver injury. It is very important not to combine Percocet with any other drugs containing acetaminophen because often the liver damage caused by this overdose is irreversible and can be fatal. Call your local poison control center while waiting for an ambulance.If a person is suspected of overdosing on Percocet, call 911 immediately. Respiratory depression--a likely effect of opioid overdose--may be profound and quite critical. Overdose situations can be life threatening, and must be treated quickly. If you have the pill bottle available, it may be a good idea to call your local poison control center for information on how to help your loved one while waiting for the ambulance to arrive. They can also provide advice to the Emergency Department regarding how much acetaminophen was ingested and how to treat such an overdose. Because Percocet can be obtained legally and taken safely with physician supervision, it is imperative that users follow the directions they are given to avoid an overdose situation. Also, do not take Tylenol or other products that contain acetaminophen while using Percocet, as the safe upper limit can quickly, if unwittingly be reached in this manner. 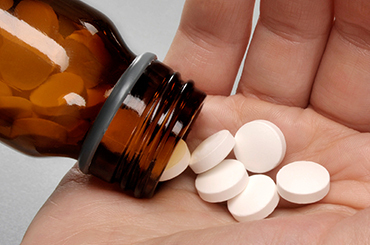 In people who regularly take more Percocet than recommended, tolerance may develop, which means that users will require more medication than usual to achieve similar effects. One of the consequences of tolerance is unintentional overdose, and can be avoided by following dosage instructions. Greater than 4000mg of Percocet within 24 hours can be enough to cause liver injury. Also, be cautious when combining Percocet with alcohol, other opiates or sedatives, or with other medications which may cause CNS depression. Polydrug overdose can be especially dangerous, and difficult to identify and treat if the patient is unresponsive and the other drugs ingested are unknown. If the Percocet overdose patient is transported in an ambulance, the crew may administer a drug called naloxone (also known as Narcan)--this is an antagonist for the opioid receptor (specifically mu-opioid), and quickly reverses the effects of Percocet. In some instances, rapid administration of naloxone can result in almost instantaneous, profuse emesis (or, vomiting). This could pose the danger of possible aspiration, depending upon the patient's mental status. Once the patient arrives in the Emergency Department, supportive therapy will begin, and the medical staff will wait for the effects of the Percocet to wear off (remember, Percocet has a 2.5-hour half life). If respiratory depression is severe, the patient may be put on a ventilator until the respiratory drive is restored. For minor overdoses, patients can usually return home after detoxifying from Percocet over several hours; however, in more severe or complicated cases, admission may be required. A potential Tylenol toxicity situation can be remedied with sustained administration of acetylcysteine or Mucomyst for a duration of time indicated by the presumed ingested amount. Mucomyst can help to minimize liver injury that results from the toxic ingestion. Treatment options are available for Percocet abuse. To avoid overdose situations by addressing the addiction itself, call 1-888-993-3112Who Answers? to speak with a treatment support specialist today! If treatment is obtained within approximately 8 hours following Percocet overdose, the prognosis is relatively good. Remember that liver toxicity is a major concern with Percocet overdose due to the acetaminophen, and can lead to death if not addressed immediately. Ultimately, the acetaminophen toxicity is the most dangerous aspect of Percocet overdose, as even respiratory depression can be treated with a breathing machine. Even if physical recovery from a Percocet overdose is achieved, psychological treatment is often recommended to further address the mental and behavioral roots of the Percocet dependency. Any near-death experience, such as overdose, can be quite traumatic--counseling may help a post-overdose patient address their fears and concerns. For more information on treatment options available for Percocet abuse and addiction, please call 1-888-993-3112Who Answers? to speak in confidence with a compassionate treatment support staff member today. Berling, I., Whyte, I. M., Isbister, G. K. (2013). Oxycodone overdose causes naloxone responsive coma and QT prolongation. QJM: monthly journal of the Association of Physicians, 106(1), pp. 35-41. Gallego, A. O., M. G. Bar?n, & Arranz, E. E. (2007). Oxycodone: a pharmacological and clinical review. Clin Transl Oncol, 9(5), pp. 298-307.